UConn breaks the huddle at halftime of their game against UNC. In the premier fall tournament of the college season, teams get to test out their new personnel and fight for a spot in the spring’s best invitational tournaments. This year at Classic City Classic, we saw some teams play exactly as expected, some teams with new prominent faces, and some teams that no one saw coming. In the end, UNCWilmington was crowned champion. But the takeaways from CCC go far beyond the Seamen and set up the storylines for the upcoming spring. After dominating through much of the weekend, UNC Wilmington found themselves in an unlikely spot late Sunday — locked in a tight battle with an upstart Virginia Tech team. Late in the game, Burn managed a break and pulled ahead 14-13, their first lead since 1-0. But then Wilmington woke up. After securing their hold to tie the game at 14s, a big layout block for the Seamen gave them a chance to take back their lead and they capitalized with smooth offense. For the first time in the bracket, Virginia Tech seemed rattled. On the ensuing point, a same-third huck traveled too far and new Seaman JD Hastings threw a pinpoint huck to set up a Danny Mercer goal. Despite the tighter final than they may have expected, UNCW rattled off three straight when it mattered most to secure a confident win, 16-14, and end their fall season on a high note. A tournament title is always a good thing. UNCW may have lost Xavier Maxstadt from last year’s squad, but they were sharp as ever this weekend. Good decision-making from the Wilmington veterans was consistent for most of the tournament, a good sign moving forward. The Seamen also had plenty of young talent coming into this year, but they needed one more pivotal piece to complete the roster. Enter JD Hastings, the transfer from UNC and a huge reason why Darkside made it as far as they did in 2016. While Hastings’ talent is undeniable, it is almost unprecedented for a star player to make the leap across the divide of a bitter in-region rivalry, making it hard to predict how his introduction would change things for the Seamen. So far, the results have clearly been a positive. Hastings truly did it all for Wilmington in Athens, with lockdown handler defense and big throws on the D-line, punctuated by his game-point huck late in the final. Danny Mercer catches the game winner for UNCW in the finals. The Seamen also showed off two more emerging stars that will grab plenty of attention in the spring: Willie Stewart and Danny Mercer. Stewart is the standout junior with experience on the Swiss U-23 national team; his experience at the handler spot allows players like Jack Williams to get downfield where they can be more effective. His play will be the X-factor in their tight games come the competitive regular season. Based on their performance in Athens, it seems like all the pieces for UNCW are settling into their roles nicely. One of the things that makes CCC so great, is watching the bubble programs fight for high-level tournament spots. A quarterfinal finish at the November tournament could mean an invite to Stanford or Easterns. It worked that way for Auburn two years ago, in a move that has since elevated that program. So what does a two point loss in the finals buy you? After coming into CCC as the five seed in Pool A, Virginia Tech turned a lot of heads this weekend. To make it out of the pool, they beat both Florida and Auburn, but a matchup with Pitt on Sunday morning looked like the end of the line. Pitt had been sharp so far, and hadn’t shown many signs of weakness outside of a close game with Tufts1 on Saturday. Smooth offensive play from VT lead them to an 8-7 lead at halftime. Pitt simply could not contain both Joe Freund and Rhys Bergeron. Like the rest of Burn, these two are young but talented. Freund, a former Truck Stop standout, is only a sophomore. Junior captain Bergeron contributed three unbelievable catches for goals against the favorites, off of tipped discs and layouts. Their pressure was relentless. With Virginia Tech up 13-11, a drop from Pittsburgh handed the win to the underdogs. They broke, and then held for the 15-12 lead. In Sunday’s bracket, Burn handled Michigan relatively easily, staving off a small comeback and winning 15-12. Squaring off against the talented UNCW team in the finals, no one would have been surprised if their surprise weekend story ended with a whimper, but they competed throughout. Despite that last loss, Virginia Tech certainly has plenty to celebrate after making a run all the way through the bracket and almost taking down the clear favorite. What’s most impressive is that they did it using the depth of their squad, rather than relying on just a few great playmakers — though they aren’t without a few of those as well. This may be just the beginning for the Atlantic Coast upstarts. Despite a talented roster, to go to Nationals they will have to go through UNC and UNC Wilmington — unless earn their own bid. And that’s what CCC can do. With this performance, Virginia Tech now has more control over their own destiny. With better tournament invites than they’ve had before, some impactful wins can see them through to the top 20. And they certainly have the talent to do it — if not this year, then in 2018. After finishing 9th at the 2016 National Championships, Michigan lost some of their main playmakers — including U-23 National Team standout Sam Greenwood — which saw them drop out of the preseason Power Rankings. But Magnum reentered the national conversation in Athens by managing their way into the semifinals on the backs of strong performances from a new crop of leaders. Wes Chen stepped up big for Michigan, with huge layout grabs and defensive pressure. 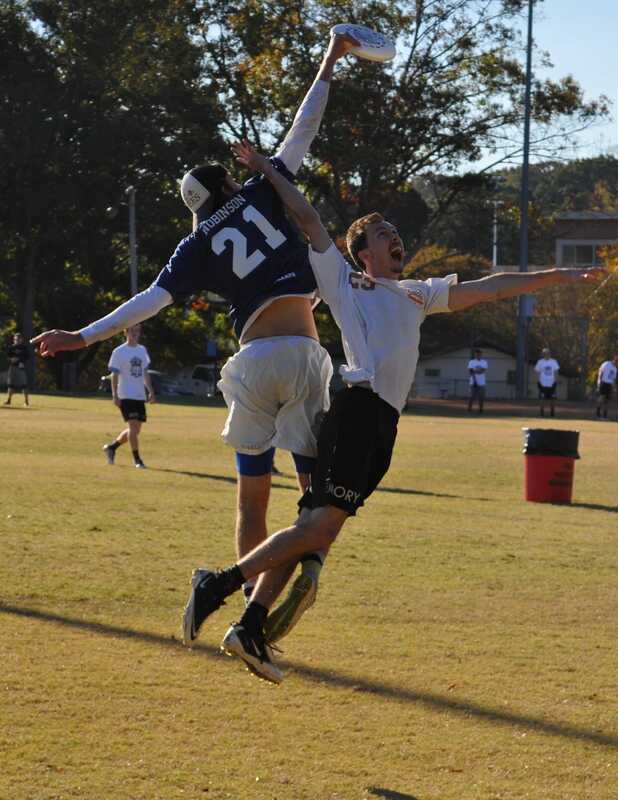 Filling a much-needed role on offense is transfer Michael Burke, who played his club ultimate with Birmingham Ironmen and in the AUDL with the Detroit Mechanix. In the quarterfinals, the Magnum zone stymied Georgia. The zone looked polished, especially with it being so early in the season. 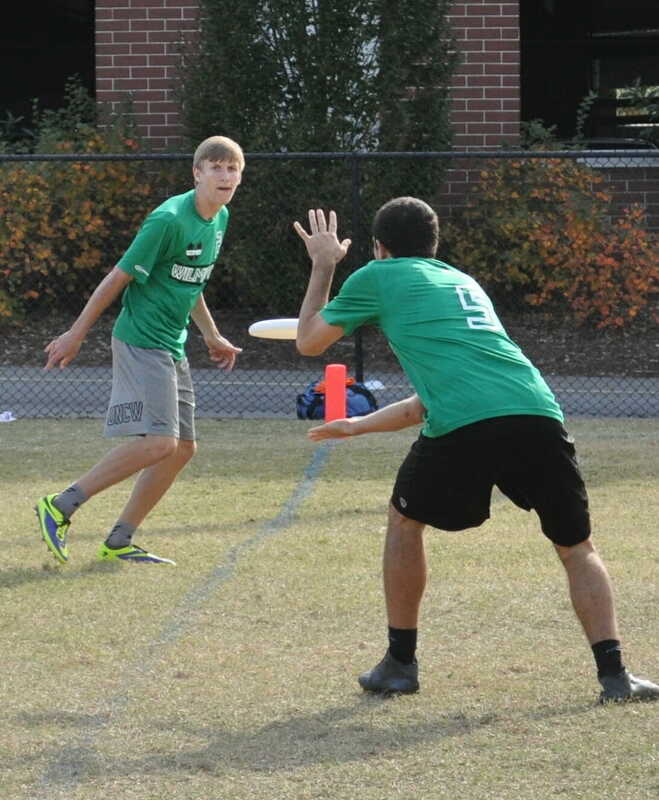 They forced the disc into the hands of Jojah’s Parker Bray and dared him to hit tight spaces with over-the-top throws. That translated into a win, but they weren’t so lucky against Virginia Tech. A strong Virginia Tech defense notched two breaks in the first half, the second one taking half 8-6. A late run from Michigan brought it within two, but Virginia Tech held on for a 15-12 win. Early season success isn’t unfamiliar to Michigan, but it is a good sign that they’ll be the favorite again in the Great Lakes region to return to Nationals. The other team that got knocked off in the semifinals was the tournament’s number one overall seed, University of Massachusetts. Despite losing Jeff Babbitt, UMass has kept much of the core of their dominant 2016 team intact and their 2017 development is underway. As far as how that development is going, Booth said, “we’re certainly not behind.” That may be an understatement, considering the first time Massachusetts played together was this past Saturday. Better yet, they had two of the best players at the tournament this weekend: Ben Sadok and Tanner Johnson. Sadok has come into his own after his first Nationals two years ago, and was one of the most dynamic throwers in Athens this weekend. Johnson is coming off of a big club season in the mixed division and has barely missed a beat in his shift back to men’s college. 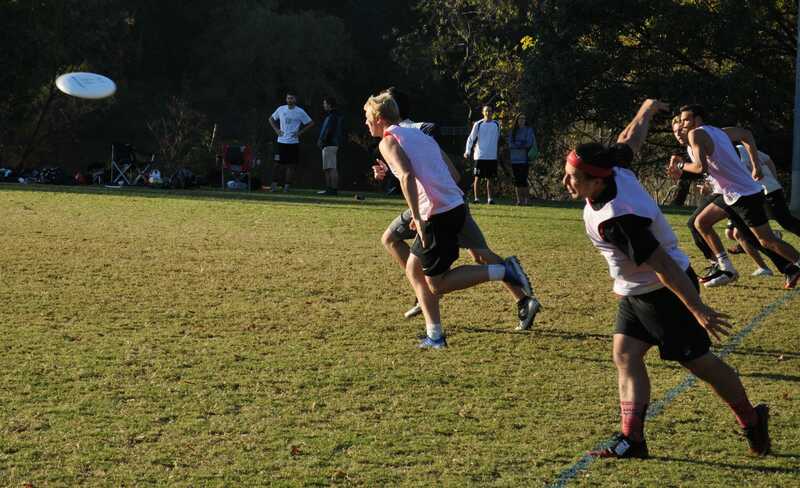 After a short break to give himself something of an offseason, he was unstoppable downfield all weekend. -Ben Sadok breaks the mark against UNC-W.
UMass was also running what might have been the loosest lines of any of the elite teams in attendance. But of course, you can do that when all six of your rookies have a wealth of ultimate experience under their belt. Even still, they couldn’t make it past UNC-Wilmington. In a hard fought game with multiple lead changes, Wilmington’s defense took over late. JD Hastings put pressure on Ben Sadok, in a matchup for the ages. A couple late breaks sealed it for Wilmington, but UMass looked relatively sharp for a November team. Of course, after last year’s disappointment in Raleigh, UMass’ focus remains firmly trained on that elusive national title. Georgia was one of the favorites to win the tournament, but a scary moment Saturday morning marred their weekend. Early in their first game against UCF, UGA handler Sebi Di Francesco jumped to defend a goal and landed awkwardly. He fell to the ground and began clutching his knee. It was difficult to tell when the physical pain subdued and the emotional pain began. Di Francesco missed all of last season with an ACL tear and this was his first tournament with UGA in almost a full calendar year. Of course there is no way to know the state of a knee injury without an MRI, but things did not look good. Sebi Di Francesco pulls for UGA in their first game on Saturday. On top of the loss of Di Francesco, Georgia was without both Nathan Haskell and Sam Batson. To the credit of UGA, they did not let that get in the way of a relatively successful weekend. They had Parker Bray, who himself is back from an injury sustained right before last spring’s Nationals. Bray was impressive all weekend, especially without UGA’s leading goal threats. He led UGA to the quarterfinals, where Michigan’s zone forced him into tough decisions. In a back-and-forth game, Bray found Riley Erickson for the 8-7 halftime lead. At that point the momentum was with Georgia. But Magnum held on, utilizing an early iteration of their zone. With the advantage late, UGA made a crucial mistake. A centering pass to Parker Bray was dropped near the goal line, handing Magnum an easy break. They took their spot in the semifinals with a 16-14 win. Moving forward, Georgia will be hoping to build on their fall success. Like other teams looking to contend for a title, UGA needed to add a strong piece or two this season. John Langstaff impressively filled into the handler role in Di Francesco’s absence, and is a much needed bit of depth at that spot. If Georgia can finally overcome the injury bug, Bray shouldn’t have to do as much for his very deep roster. UGA is clearly the best team in the Southeast right now, but their ceiling doesn’t stop there. Last year they finished one point away from semifinals at the College Championshps — and that was without Bray and Di Francesco. Another year of development makes this a scary team. When you think about teams dealing with turnover for 2017, Pittsburgh might top the list. The generation-defining class of Trent Dillon, Max Thorne, Pat Earlies, and more are all gone. Without those playmakers, the team seemed destined to take some fall lumps. But what should be a moment of awkward growing pains really just gave Pitt and coach Nick Kaczmarek an opportunity flex the strength of their program. Pitt’s Noah Robinson skies an Emory defender on Saturday. Jack Slevin now marshalls the offense from the handler spot, Jonah Wisch works the disc downfield, and Sam Van Dusen makes game-changing plays that led to a successful weekend for Pitt. Their defense has some firepower too, with Noah Robinson and Carl Morgenstern lighting a fire in Pitt’s tight games. These players have been groomed under the stars of Pitt’s last two years, but they appear more than ready to take the mantle. Pitt made it through pool play, including a win over UNC. While Darkside was without both Matt Gouchoe-Hanas and Nathan Kwon, the win still builds confidence for a team with a lot of question marks. Whats more surprising, is a double game point win over Tufts. With Pitt’s O-line out on the field, the point lasted longer than expected. Sloppy offense from both sides pushed the game into hard cap tied at 8’s. Shouts from the sideline called out to make sure everyone knew this would decide the game. Slevin took control, and bounced back and forth with Wisch for the game-winning goal. Despite the close finish, Pitt’s side stack was effective most of the game. Few defenders could stand tough with their downfield cutters having so much room. Pitt’s new era is here and they looked like they barely missed a beat. Offense was clean, defense was fiery, and Pitt is a dangerous team heading into the spring. UConn was only a few pivotal points away from having a great weekend. 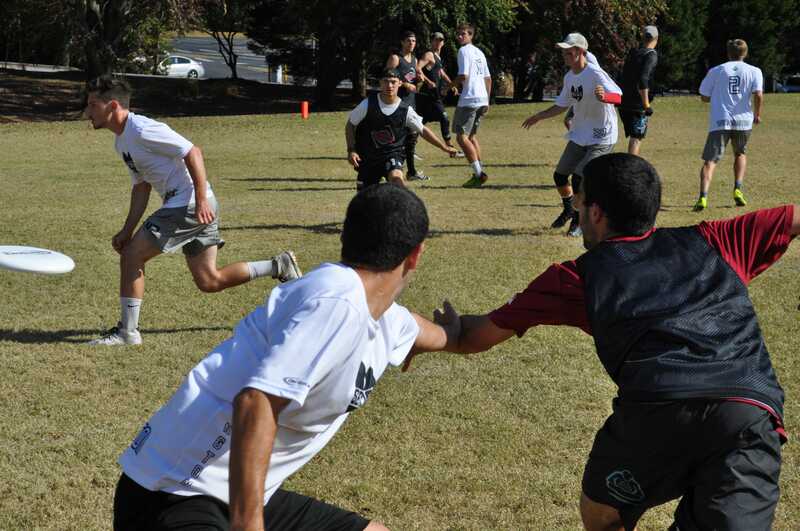 After taking a halftime lead against UNC on Saturday, Grind allowed Darkside to claw their way back after the break and then hold cleanly on double-game point. Despite that loss, a UConn win in their last game of the day against Pittsbugh would have seen them through to the championship bracket. Again Grind jumped out to a 7-5 lead, but Pitt stepped up their defense and matched it with overwhelming sideline presence. En Sabah Nur rattled off four in a row, to turn their deficit into a 9-7 lead. They held on to win 11-8 and take Pool B. Despite the close losses to the pool favorites, UConn showed flashes of the team they were last year. 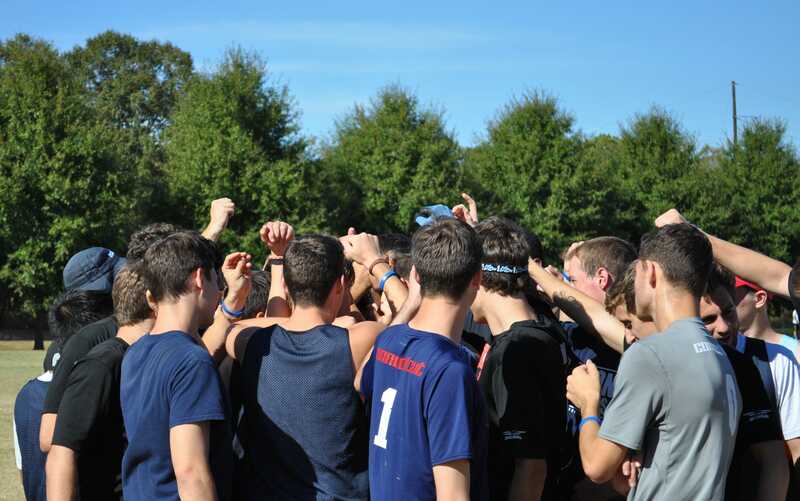 They’re of course now without John Wodatch, who led the program to their first ever Nationals last spring, but in a considerably weaker region, expect Connecticut to contend for a Nationals bid yet again. With it being so early in the year, the results aren’t overly important for most of the teams in elite standing. It’s about development. This past weekend we saw teams with new faces, and teams with the same faces after an offseason of work. But what it really did, is the same thing it does every year. It built an incredible amount of excitement for spring. Comments on "Classic City Classic 2016: Tournament Recap (Men’s)"